This premium boot is built to get you through long, tough hours in oil and gas, construction, manufacturing and other industries. The dual-density urethane sole features a soft inner sole for cushioning and comfort, plus a harder outer sole for durability and protection. 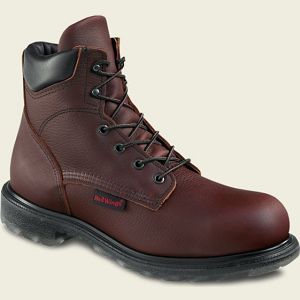 A full-grain Red Wing® leather upper delivers additional durability. Available in extended sizes and widths.